William Mills Agency values the relationships we have cultivated with the financial trade media. As a PR firm, we are equally customers and media-centric and believe publications like Mortgage Banking magazine are vital for the success of our clients and the industry. Janet Reilley Hewitt is editor-in-chief of Mortgage Banking magazine, one of the financial industry’s main sources for news, analysis and housing indices. Hewitt discusses the role of Mortgage Banking magazine in the industry and her role as editor-in-chief. Please note Hewitt only represents Mortgage Banking magazine and not the other MBA publications. 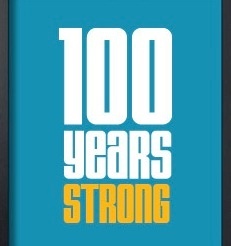 Last week the Mortgage Bankers Association (MBA) held its 100th Annual Convention and Expo in Washington, D.C. More than 4,000 attendees swarmed the Convention Center, split between lenders and vendors. 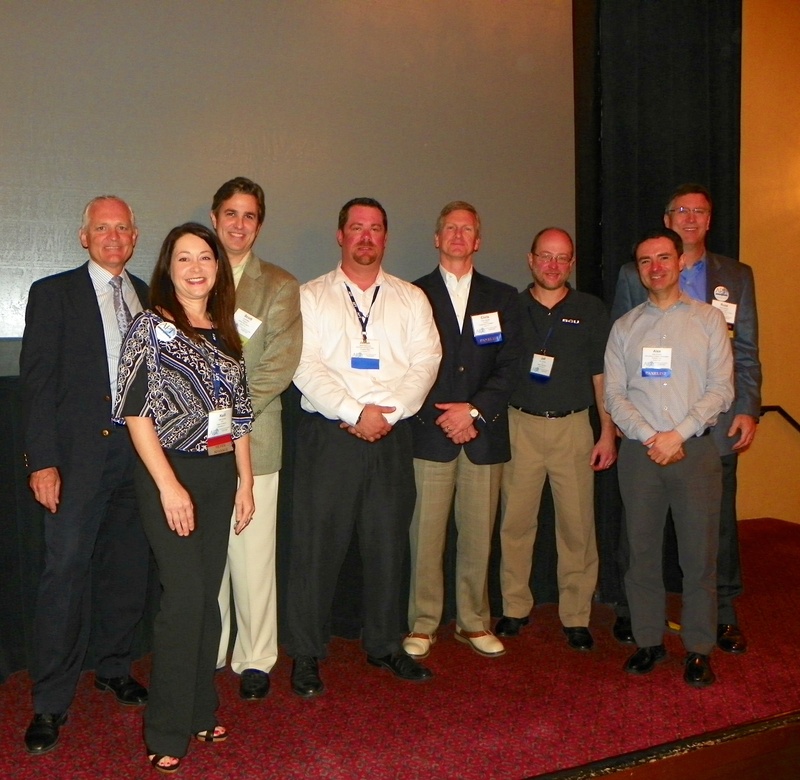 Fitting the D.C. setting, the dominant topic of the conference revolved around compliance and regulatory oversight. Many of the sessions, and most of the conversations we heard had at least some compliance angle. The topics ranged from meeting CFPB regulations in 2014 to understanding how to offer new products that would meet the requirements of investors and the GSEs. However, all of the focus on compliance is producing a backlash. The president of MBA basically said enough is enough on the compliance and that any more is a risk to credit flowing. He also said 40% of home purchases last year were paid in cash. Does your public relations strategy include these three important components? 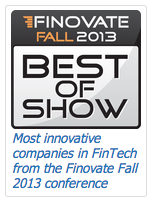 William Mills and I blogged about the companies we saw at the 2013 Finovate show that wrapped this week in New York. While you may want to peruse our thoughts on the two-day conference that featured 69 companies, here are our comments on the winners of the Best of Show award. 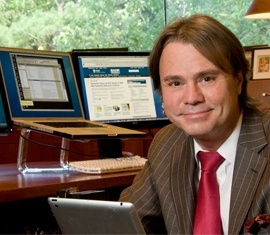 William Mills III, Chief Executive Officer of William Mills Agency is live blogging today at Finovate Fall 2013 in New York City. William has more than 30 years of experience in financial technology and is a recognized leader in financial and technology marketing. William has personally advised more than 300 chief executives on marketing strategy, business development, mergers and acquisitions, company branding and public relations. Building relationships with the media is vital to the success of any communications campaign, yet many public relations professionals focus too much on how the pitch is written rather than on having outstanding working relationships. For example, reporters ignore pitches that do not fit their publication, and even perfectly written pitches can fall through the cracks if the public relations professional is not persistent enough to reach busy reporters. The following principles will ensure that your organization receives consistent media coverage in key financial services publications. Senior Vice President, Andrew McCaskill sits down with Atlanta Business Radio to discuss Crisis Communications. Many organizations put crisis communication planning on the backburner thinking that they can simply address issues as they occur. Unfortunately, bank and mortgage crises arise without warning and can often have long-lasting effects on your company’s reputation. There are ten steps to help your financial organization properly plan for a crisis. Crisis communication planning can save your company the headache resulting from dealing with a crisis as it unfolds. Is your credit union making the most of credit union industry event participation? CUES’ CU Management’s online-only “PR Insight” column runs the first Thursday of every month. Trademarks are a critical tool for financial marketing and brand development. However, many FinTech and mortgage service providers don’t do enough today to protect their brand. There are many instances where a lack of proper trademark usage can harm your business. As a company, you need to understand what you can and cannot protect and right now, financial service providers often do not do enough to protect their brands. “I tried to lose weight, but it didn’t work.” “We tried PR, but it didn’t work.” The explanations and excuses for failures are the same for both. And the fundamental solutions are the same for both as well. Launching new products in the financial industry is something very different from introducing consumer packaged goods. To put it simply, marketing to banks isn’t like selling soda. Introducing technology solutions in highly-regulated industries, such as banking, come with unique challenges. However, using the proper communication strategies will make your marketing to the financial industry less daunting. Speaking engagements provide excellent exposure for your company and offer a great advantage to secure sales leads. However, speaking at a financial tradeshows is not enough. There are a variety of methods available to truly take advantage of each speaking opportunity. William Mills Agency’s PR teams can help you make the most of every event. Collaborate with them to execute the best tactics for your company to better sell to banks and your target markets. Securing speaking engagements at financial tradeshows is great exposure for your company and a key to better marketing to banks, credit unions, payments providers and other financial audiences. Work with your financial public relations team to determine the best conferences and key message points for your company. If it is a priority for you, it should be a central part of your balanced PR plan and calendar. Credit Union Management’s online-only “PR Insight” column runs the first Thursday of every month. Because of the July 4 holiday, the column is running one day late this month! Similar to financial media coverage, speaking engagements have the ability to raise awareness and credibility of your company’s products and solutions and is a critical ingredient for selling to banks. Securing speaking engagements at industry conferences and tradeshows is a great advantage, but it also requires a great deal of time and effort as well as a little luck, to secure a single speaking engagement. Unlike media coverage, these engagements allow immediate follow up on sales leads on the tradeshow floor, often making them more valuable to clients. Companies that get consistent media coverage understand the importance of making a financial PR plan and leveraging it to their advantage. This is why William Mills Agency developed a media planning process called Intelligent Information Integration (I3) based on the concept of providing the right content to the media at the right time so you can successfully market to banks, credit unions, payments providers and other financial audiences. William Mills Agency recently covered the Federal Reserve Bank of Chicago’s 49th Annual Conference on Bank Structure and Competition. Here is a recap of major discussions at the conference. This is the 3rd part of a three part series. William Mills Agency recently covered the Federal Reserve Bank of Chicago’s 49th Annual Conference on Bank Structure and Competition. Here is a recap of major discussions at the conference. This is the 2nd of a three part series. How ready is your credit union? At some point in time, every organization will be faced with a crisis. Some are minor: The ATM is down for two hours for maintenance. William Mills Agency recently attended the Federal Reserve Bank of Chicago’s 49th Annual Conference on Bank Structure and Competition. Here is a recap of major discussions at the conference. This is the 1st of a three part series. ROI seems to be on everyone’s minds these days. Our agency and clients have been having more sustainable conversations about the ROI of PR programs. If budget were not an issue, we would welcome regular primary research to uncover perceptions and track awareness in clients’ respective target markets, before and after campaigns. However, it is significantly more difficult (and expensive) to survey specific titles and departments within financial institutions, than to survey 18-22 year olds on their mobile phone preferences. Therefore, we have to look for ways to effectively measure business-to-business financial public relations programs in ways that are both affordable and manageable. The agency has worked with hundreds of companies over the years, and we have seen how some programs, processes and relationships are more productive than others. I suppose it would be a great thing to engage a PR firm, sit back and wait for wonderful results. Truth is, there are six behaviors that make a big difference in achieving financial PR results that will make your management team proud. 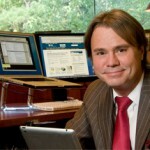 William Mills III, Chief Executive Officer of William Mills Agency is live blogging again today at FinovateSpring 2013 in San Francisco. William has more than 30 years of experience in financial technology and is a recognized leader in financial and technology marketing. 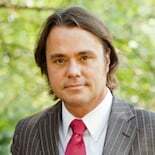 William has personally advised more than 300 chief executives on marketing strategy, business development, mergers and acquisitions, company branding and public relations. FinovateSpring begins next week. Are you ready? In its sixth year, the show continues to debut the industry’s best new ideas, and in turn draws media, analysts, investors, vendors and financial institutions that are looking for a special lead. We have compiled a list of last minute tips for both presenters and attendees to make the most out of your two days in San Francisco. New Orleans, William Mills Agency’s CEO, William Mills III and Executive Vice President Kelly Williams will be at the Electronic Transaction Association’s (ETA) 2013 ETA Annual Conference this Tuesday and Wednesday to facilitate press meetings and provide editorial support for our clients. San Diego, William Mills Agency’s Heather Sugg and Elizabeth McMillan will be at the 2013 NACHA Payments Conference to facilitate press meetings and provide editorial support for our clients. In the financial media, there are endless ways to promote your company. The trick is to know how to create a efficient and balanced PR program to maximize your exposure and gain consistent press coverage over time. An effective media relations plan should outline content and identify outlets and timing to create exposure for your company through consumer, media, and industry channels. David Jones, Senior Account Agent for William Mills Agency provides his live commentary at MBA's National Technology in Mortgage Banking Conference & Expo. My goodness, it was a good, productive meeting for me and the agency. The registered attendees were the highest ever for a spring meeting with more than 150 guests, not including spouses. Thirty-nine of the attendees are William Mills Agency clients, so I was on reasonably good behavior. As expected, this years’ 2013 Georgia Technology Summit on March 20, 2013 was a great event -- with a host of dynamic speakers and presentations. 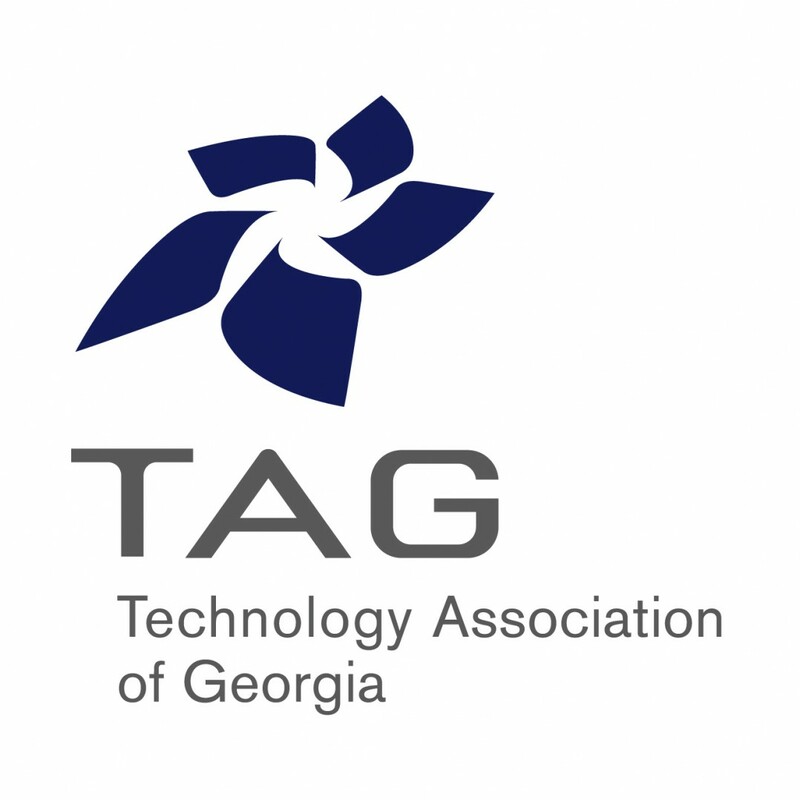 For those not familiar with the event, the annual summit brings together executives, entrepreneurs, tech professionals and academia from Georgia’s technology community. Jimmy Sawyers of Sawyers & Jacobs, has over 28 years of experience in the bank technology field, 9 as a community banker and over 19 as a consultant to the industry. Congratulations Laura on all your hard work! In 2003, the Board of Directors of William Mills Agency established the Bill and Eloise Mills Scholarship in the College of Communication at Florida State University (FSU) in honor of their founding members’ service to the agency, and dedication to the university. 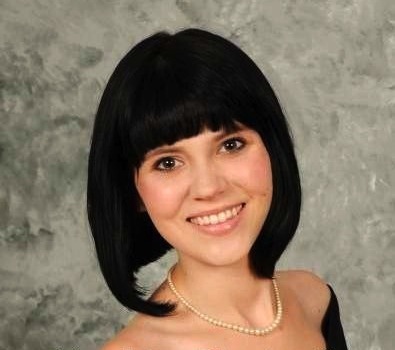 This school year recipient is Laura Linthicum who is currently interning at the Zimmerman Agency in Tallahassee, Florida. Richard is the founder and CEO of Crone Consulting which is an independent advisory firm that helps businesses integrate mobile self-service capabilities with payment optimization strategies to reduce costs, increase customer loyalty and sales. In his 32-year career in financial services, Richard has harnessed the technological innovations that have shaped the industry, from ATMs, home banking, internet commerce, Electronic Bill Presentment and Payment, to mobile banking and payments. JP Nicols is the CEO and founder of Clientific, a consulting firm that helps financial institutions and FinTech firms improve performance and accelerate growth. He has more than 20 years of experience in banking and wealth management as an advisor, manager and senior leader. If someone is looking for your company on the Web, they will find you. But what if they are looking for information to help solve a problem or for vendors to consider – would you show up on Google? And if you do, what will they see? How high on the search results do you appear? Videos are fast becoming a preferred means of marketing within FinTech and B2B businesses. People today have shorter attention spans, less time to gather information and want things quickly. Video marketing is a powerful tool that will engage your financial industry audience and increase your sales. William Mills Agency’s marketing services offers you a fresh marketing advantage, Visbyte videos. 2013 marks my 30th year at the agency as well as my 30th year working with financial technology entrepreneurs and business owners. Over the course of these three decades, I’ve witnessed first hand three eras of sustained growth in the financial industry and the devastating effects of their eventual collapse. Credit Union Management's Web-only "PR Insight" column runs the first Thursday of every month. Sound public relations practitioners always know their credit union’s target audience.